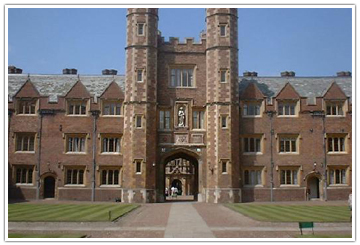 Cambridge England travel: This famous university town was founded in the 12th Century on a site first settled by the Romans. 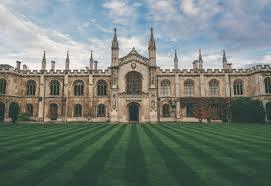 The University of Cambridge is made up of 31 different colleges, each with their own tradition. The beginnings of Cambridge can be dated with some exactitude to the invasion of the Romans in 43AD. Prior to the Roman invasion, there was no permanent settlement of significance on the site of Cambridge. The commander of the Roman troops was one Aulus Plautius. He pushed his men up from their landing place in Kent towards Colchester, then the most important town in Britain. The Roman advance was halted by the Thames, and Plautius was forced to build a bridge to get his men across. 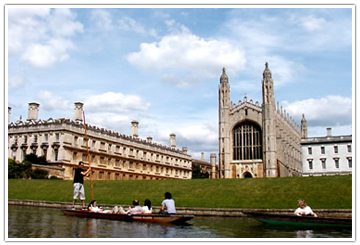 King’s college Punting is a great tradition at Cambridge and one of its chief attractions. Punts are flat-bottomed boats, without a keel, steered with a 10-foot-long pole. Punts were introduced to Cambridge in Edwardian times. Before that, fishermen and reed cutters in the fens had used punts. The design itself dates back to medieval times. Punting is great fun as well as a good way to see Cambridge. You can either get someone to do it for you and they will also point out various colleges and places of interest, some do their own punting. 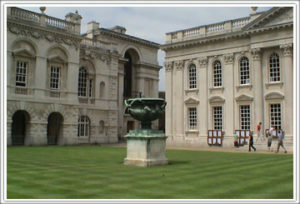 A college in Cambridge. Who wants to study here? It makes me feel young(er). You would see students virtually from across the globe busy in their own activities or just chatting anywhere. Don’t miss it. The distinctive round shape of this church originated in the Holy Land, where early Christians built circular walls around tombs. 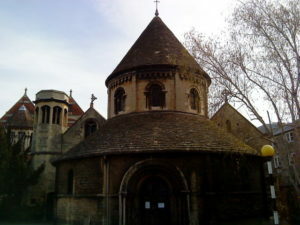 English returned from the holy land with a vivid memory of the design and the Round Church was built around 1130. The church was altered in the 15th century when windows were added, and again in 1841. 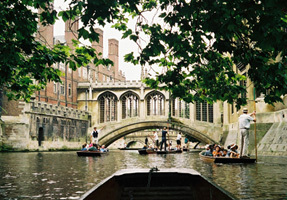 The Bridge of Sighs in St. John’s College is one of Cambridge’s most enduring images. It was built in the 19th Century and its modeled on the original Bridge of Sighs in Venice. 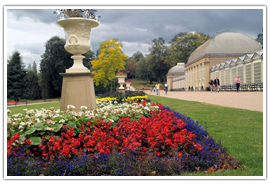 The Botanic Garden is situated less than a mile to the south of the City center and only five minutes walk from the railway station. 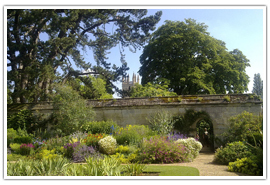 This tranquil 40 acre (16 hectares) garden offers year-round interest to visitors. The Garden has a collection of over 10,000 labeled plant species in beautifully landscaped settings, including Rock Garden, Lake, Glasshouses, Winter Garden, Woodland Walk, and nine National Collections. Cambridge: I took this pictures on a college lawn. Start your walking tour from the bus station near the city center. Roam around the city center. Most of the major colleges can be covered by walking. Round church is also in the city center. Then take a hunting trip from any of the starting points. You will see most of the major colleges from the boat. Then head towards the park at the back side of the bus station to relax (weather permitting) or have lunch in the city center and then head towards the Botanical Gardens (entry charge). Have two days planned for Cambridge England travel. One day in Cambridge England travel would not do justice to this beautiful city. If you have just one day, skip the botanical garden and travel on the open top hop on hop off bus. It starts from the rail station every 15-30 minutes and the tour lasts about 60 minutes.